Finally we have some nice weather outside and sun shining, welcome April! I hope guys are experiencing some nice weather as well. This time of year is when a lot of weddings happen, more so May and June. As some of you may know I got engaged during Christmas, so I'm definitely feeling the wedding fever. Though I'll admit I don't have a date yet, I'm a bit of a slow planner. One thing I know for sure I'll have ready are my nails! 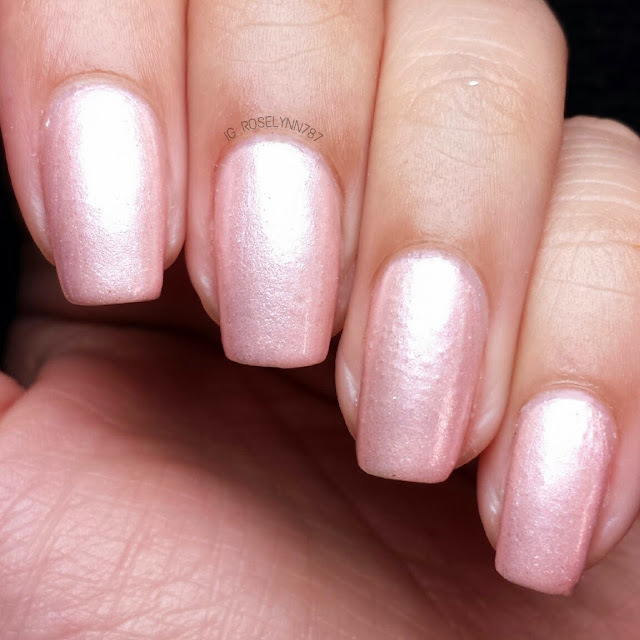 The polishes being released for the wedding season this year are just spectacular and the ones I'm sharing today are no exception. 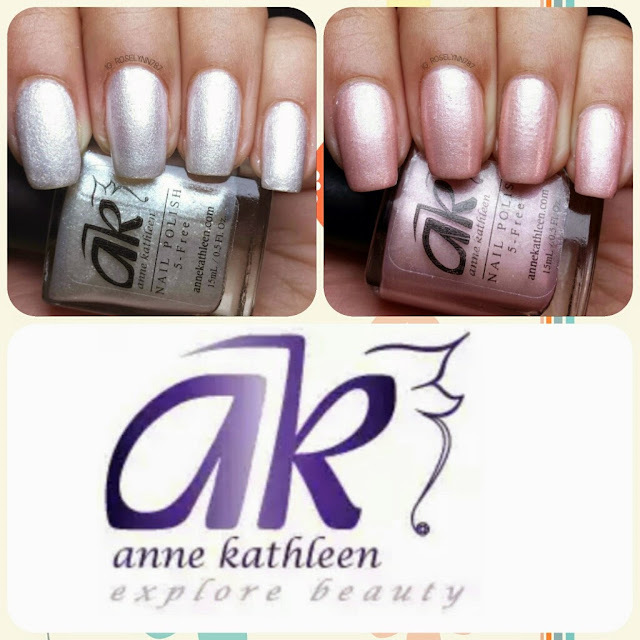 Today I have an indie brand that I had not previously reviewed on here before, Anne Kathleen Polishes. 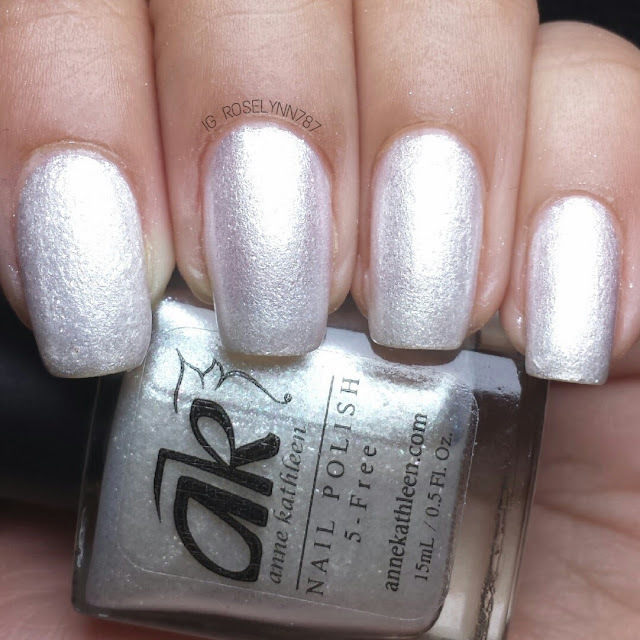 AK polishes are not only 5-free, cruelty free, and also vegan friendly. Coming to their store April 15th is the Something Special Collection, a wedding themed set of beautiful shimmer polishes. I'll be sharing swatches of two polishes from the upcoming collection here. 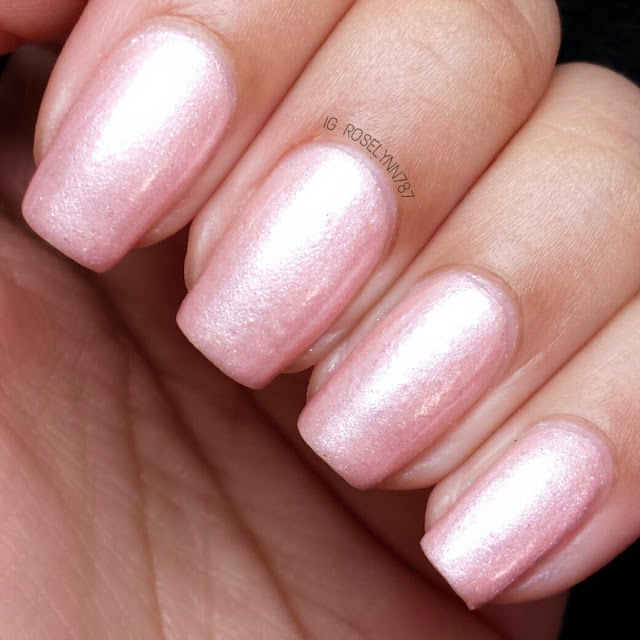 First we have Lana, a gorgeous light pink shimmer polish. It's such a delicate soft shade of light pink, perfect for a wedding day. 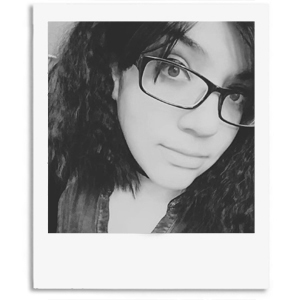 Actually it's the perfect shade whenever you're in the mood to feel extra girly, pretty, and dainty. Swatched over a clear base coat, used three thin coats, and sealed with a fast drying topcoat. Sheer in one coat but you'll achieve full opacity with three thin coats. Because this is a shimmer polish, you have to be extremely careful with your brush strokes. If you run into rough strokes I suggest applying two coats of topcoat instead of one and it should smooth it out. 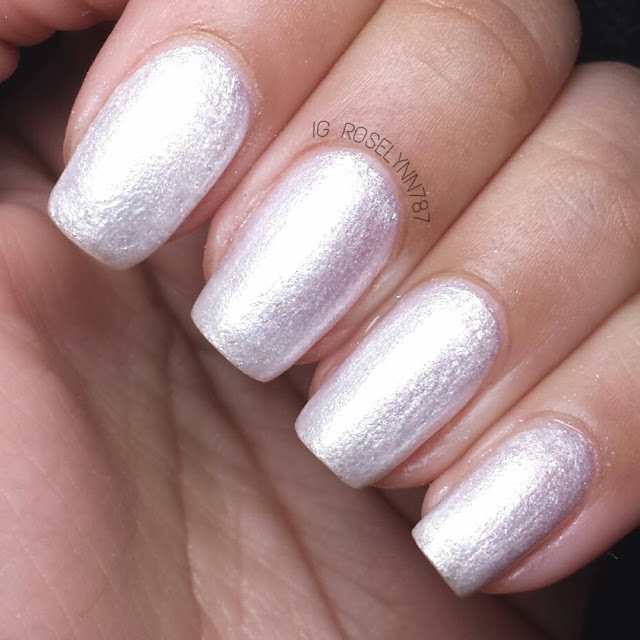 And next we have Cosette, a beautiful pearly white shimmer polish. Pearly white heaven! Marking this one down as one of my all-time favorites. 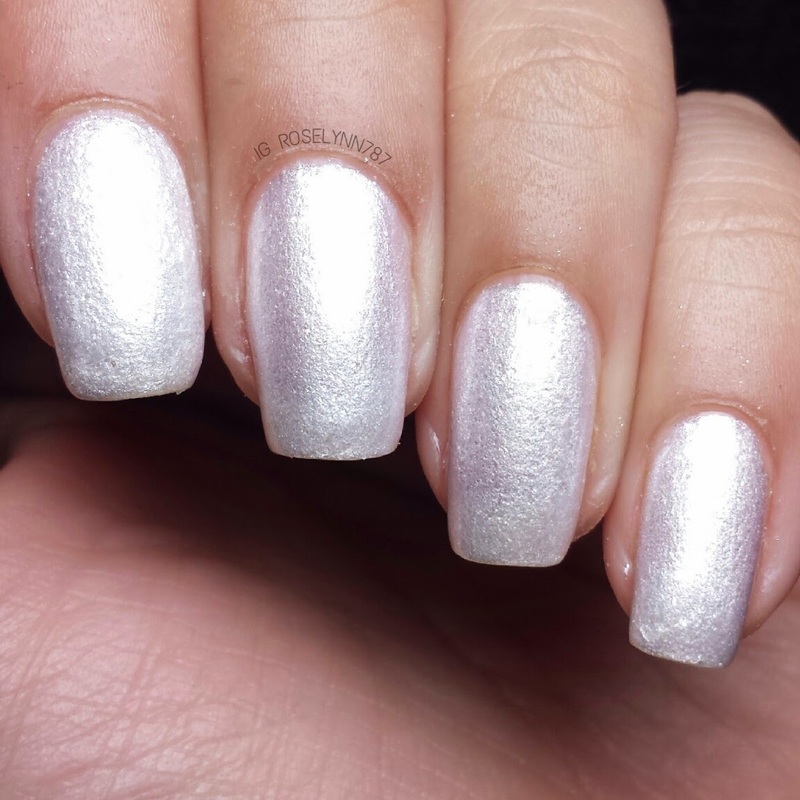 The frostiness over this pearl beauty is breath-taking. One of the first polishes I ever brought was a pearl shimmer polish so this brought back many fond memories. Swatched over a clear base coat, used two thin coats, and sealed with a fast drying topcoat. I found that I only needed two coats in order to be completely opaque. Again, be careful with the brush strokes when you're applying. Overall the formula and application for both are very good, definitely recommend trying them for yourself. Normally I don't like shimmer polishes because the formula suffers for the effect but this is absolutely not the case with these beauties. As someone with a wedding of my own coming soon, I love these polishes for the occasion and see myself rocking either one of these for my big day.